Depression in men often goes undiagnosed or improperly treated because of unique qualities that make it different from depression in women. In this volume, Dr. Kantor explains that depression in men is not strictly the product of major life events; it also regularly appears in response to minor troubling issues that often go entirely overlooked by others or, if recognized at all, are downplayed. In this jargon-free text, Kantor explains how many men are able to navigate the big stresses successfully only to succumb to the little ones. And he challenges the current widespread tendency now viewing depression in men as a strictly biological event to be treated first and foremost with pharmaceuticals. Long thought to be a feminine disorder connected to hormones and the premenstrual syndrome, depression actually strikes millions of men each year. 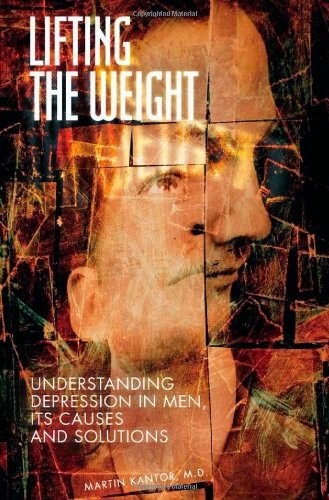 With absorbing vignettes, and insights into a faulty culture that urges men to always have a stiff upper lip and shun medical attention, Dr. Kantor shows the unique ways in which depression is very much a men's disorder. And he helps us understand what we can do to treat it, to help ourselves and the men we care about recover.